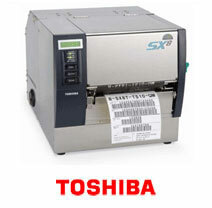 The B-SX8 305 DPI , 170.5mm/213.3mm wide Print heads facilitate speedy printing of large format compliance Labels. A floating Print head mechanism guarantees superb Print Quality with reduced friction and a flat paper path. The Ribbon save function conserves the Ribbon when it is not required, reducing costs, the amount of down-time required for Ribbon changing (available as standard on the B-SX8) and allowing optimal performance for RFID encoding work. The B-SX8 model utilises Toshiba's revolutionary CPU technology, this allows enhanced processing via an extensive choice of interfaces - including USB and internal LAN. With the additional options of Serial , wireless LAN and RFID interfaces B-SX8 provides flexibility and choice. 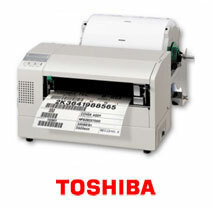 The 220XiIII Plus quickly prints large labels, up to 8.5 inches (216 mm) wide, at 10 inches per second (ips). With its all metal construction, it is ideal for industrial environment applications where high quality, large labels are needed - chemical drum (HAZMAT) identification labels, pallet/container shipping labels and product identification labels for large rolls of paper or textiles. Capable of printing up to 55 pages per minute, it is also a high-speed alternative to laser printers for printing 8.5 inch x 11 inch packing slips and invoices for high volume, on-demand order fulfillment applications. 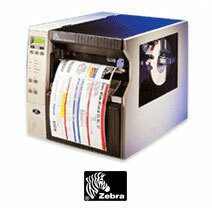 The S4M is a competitively priced metal printer which takes a full 8" roll of media. Available in either 200dpi or 300dpi and with a host of connectivity options this printer is ideal for Compliance, Manufacturing, Distribution and Healthcare applications. The B-852 has a strength and ability that belies its appearance. Constructed in steel with the most advanced design in usability, the B-852 offers all the advances of the TOSHIBA TEC Industrial range at an affordable cost. With high resolution (300 dpi /11.8 dots per mm) a wide variety of options, including a PCL5 kit the B-852 can meet the widest of medium volume application requirements.